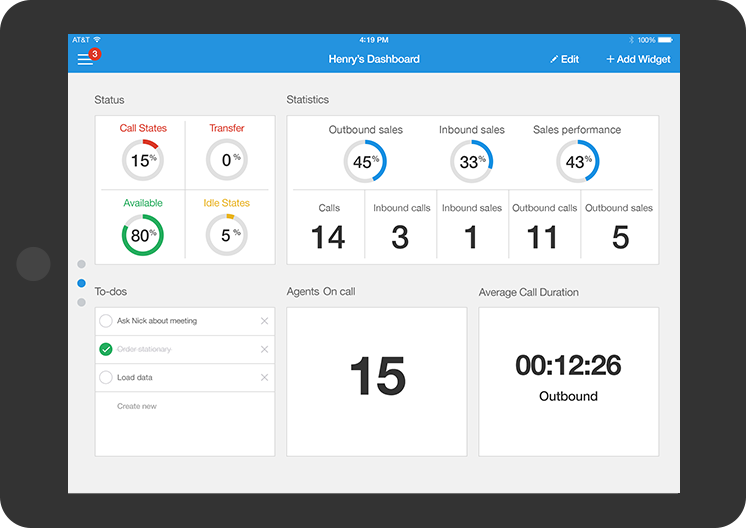 Contact Center Dashboard Monitoring App | 8x8, Inc. Whether you’re out of the office or just away from your desk, if you’re online, you can access the live dashboard, real-time status reports and instant messaging. Your dashboard is fully customizable. Just select from a wide range of widgets that provide your contact center’s stats and info including activity summaries, performance metrics and helpful tools like notes and to-dos. 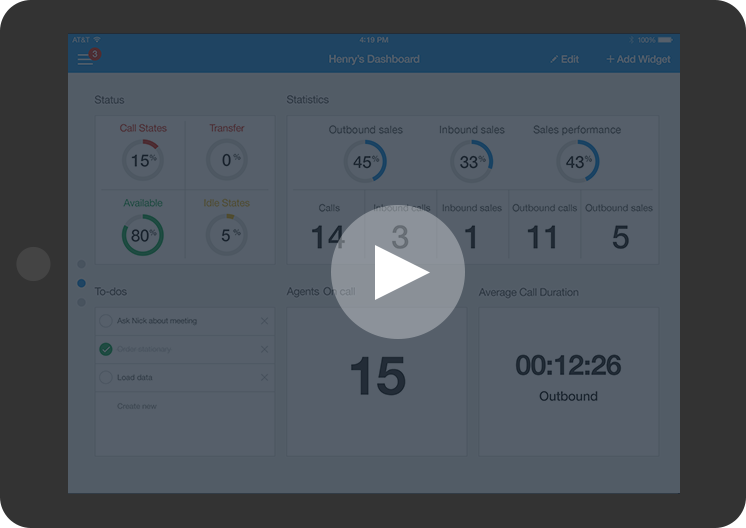 Your monitoring app is always in sync with your 8x8 ContactNow contact center. 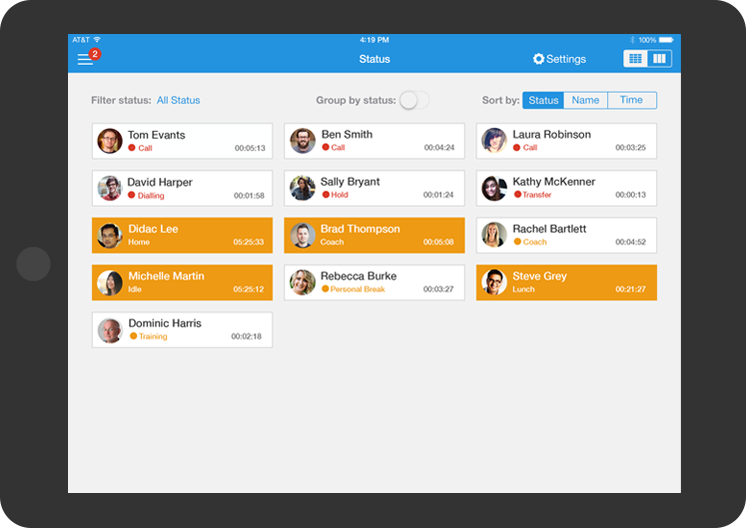 Find out how busy your teams are and how long queues have become. Analyze activity and identify bottlenecks, so you can reallocate resources to keep customers happy. Use filters to explore team, individual or queue performance. Drill down into each person’s interactions to see their daily statistics and identify top performers. Even if you’re off site, you’ll never be out of the loop. 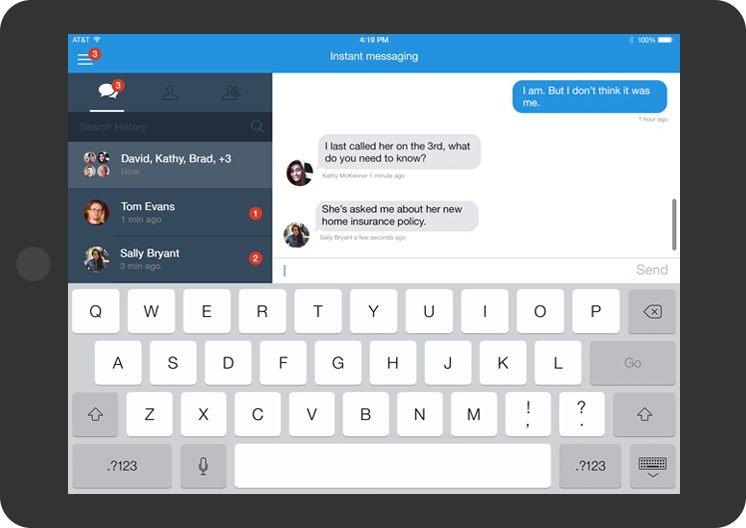 Collaborate with colleagues using the instant messaging feature built into 8x8 ContactNow Monitoring app for iPad. Call 1-855-202-5198 or fill out the form below and an 8x8 ContactNow Specialist will be in touch.